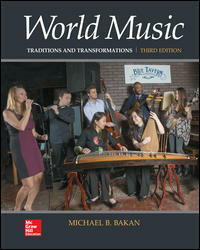 http://www.mhhe.com/bakan2e: Official World Music: Traditions and Transformations, 2nd ed., McGraw-Hill website. The site is currently under construction but will soon include many resources including downloadable audio files for the book’s Musical Guided Tours and Online Musical Illustrations, resource lists for supplementary reading, viewing, and websites, an online Instructor’s Manual (for course instructors only), and much more. 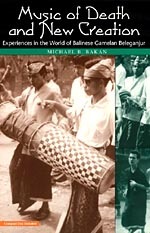 http://www.press.uchicago.edu/cgi-bin/hfs.cgi/00/13768.ctl: Link to Music of Death and New Creation: Experiences in the World of Gamelan Beleganjur info page. http://www.music.fsu.edu/Areas-of-Study/Musicology: Florida State University Musicology program official website. 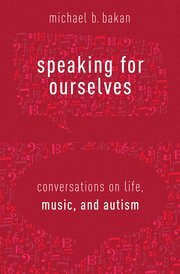 http://www.newswise.com/articles/view/543928/: Newswise article: Music-Play Project Fosters “˜Response-ability’ in Children with Autism. http://www.facebook.com/cuartetodelsur: Facebook page for Cuarteto del Sur, Tallahassee-based Latin music quartet featuring Michael Bakan (percussion), Carlos Odria and Carlos Silva (guitars), and Brian Hall (bass).